A Wheaton Illinois man has been sentenced to 60 days behind bars for stealing a puppy, and then getting that puppy high on marijuana. 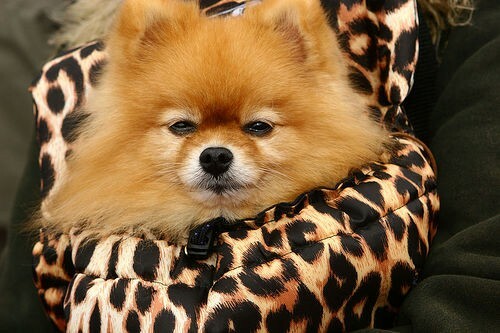 Giving pot to Pomeranian gets Illinois Man 60 days in jail. A 19 year old Wheaton Illinois man, Emanuel Lopez, has been sentenced to 60 pays in jail and 30 months of probation for the theft of a $1500 Pomeranian puppy from a pet store. The dog was returned to the store after 3 days, but while the dog remained with Lopez, he blew marijuana smoke into its face until it passed out unconscious. DuPage County Judge John Kinsella said during sentencing that, "Only the bottom rung of humanity abuses animals for their amusement." He called the abuse an aggravating factor in the theft. Kinsella ordered frequent drug testing a condition of the 30 month probation. The puppy has been adopted.